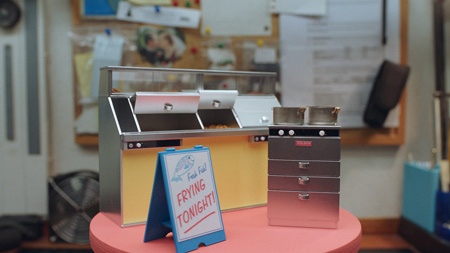 A proud Yorkshire woman reflects on her life and art as she carves her place in the precious world of miniatures. When an Afghan refugee arrives in Italy with his goat to seek asylum, an Italian immigration officer finds himself in a difficult position because he doesn't know what to do with the animal. Subtitled. When marine wildlife must adapt to the pollution surrounding it, the rules of survival change. Alone in the wild, two boys play a game around a surface mine. Will the game be as harmless as they think? Subtitled. 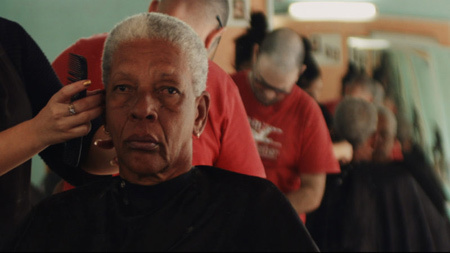 Made as a result of a conversation with Werner Herzog on a park bench in Cuba, this film examines a woman's unusual motives for visiting the beauty salon every day. Subtitled. The president of Mexico spends his final days in office making plans for his future. He even dances around his desk. Everything looks in order, until an international conflict disrupts his pleasant dreams of retirement. Subtitled. 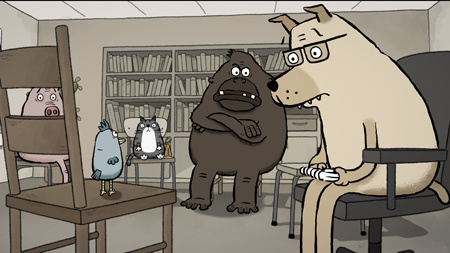 Five animals meet regularly to discuss their inner feelings in a group therapy session led by Dr. Clement, a canine psychotherapist.